Hey there again Mommy Bears! It’s been a few weeks since I did my LeapFrog Chat and Count Cell Phone Unboxing Video and I know that I have been promising you a review, so here it is! Little Cub has had a chance to play around with the phone, and I’ve been able to live with it a little bit longer, so now I feel like I can give it the honest review it deserves. 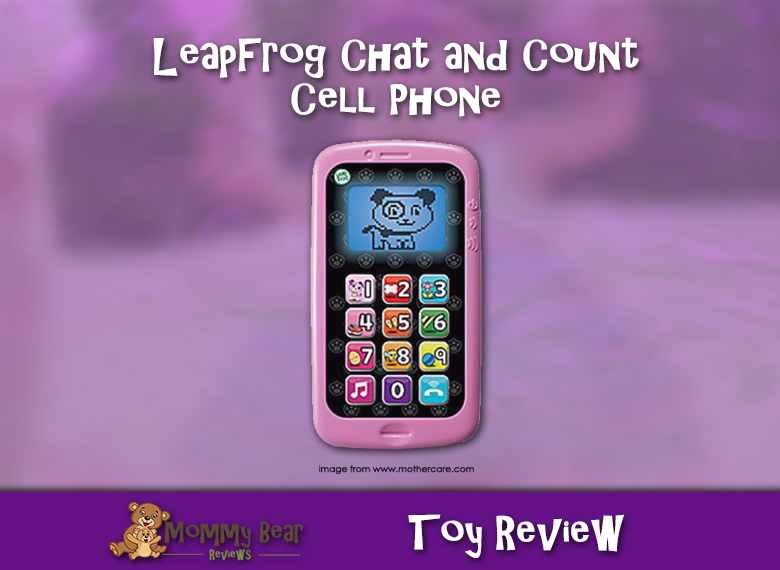 Chat and Count with LeapFrog! While this isn’t Little Cub’s most favorite toy, she still really enjoys playing with it. When she can find it and it’s not lost under the couch, she likes to hit the different buttons and listen to Violet count for her. She has also picked up the phone and pretended to talk on it. It is super exciting to see her engaging in pretend play! Since this toy phone is a little but older of a toy, the style of the phone is kind of dated, but Little Cub usually doesn’t mind. She still tries to grab our smart phones when she can, but if we hand her the LeapFrog phone instead, it seems to get her attention focused on that instead. I go through a little bit of a demonstration above, but you can see more of a close-up demonstration in my unboxing video for this phone. The phone is great in teaching numbers and counting, and it also helps to start your little cub in learning some phone skills as Violet calls them and has short, couple of line conversations. As I stated above, the phone style is a little dated, as this is an older toy, and there isn’t a ton of variety in what the phone does. This isn’t necessarily bad, since over-complicated toys can be really confusing. It’s just that you get numbers and examples when you push the letters, it counts, and has a basic conversation with you. For all of these reasons, I give this phone a 4 out of 5 stars. 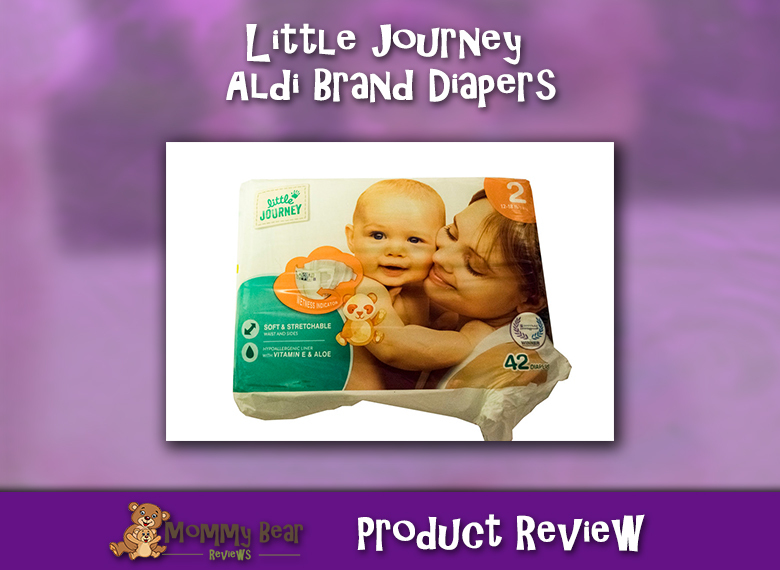 Receive the latest reviews and musings from Mommy Bear.